I think this needs it's own thread separate from the Walk Away thread. BLEXIT is fueled by individuals who are questioning political dogma and choosing freedom over tyranny. These are their stories. But Owens knew something was missing. “It just wasn’t right. There was this gaping creative chasm,” She said of the artwork. That’s when she turned to Kanye West — the 21-time Grammy-winner and one of the most influential and successful fashion designers in the world, with whom Owens has developed a close collaborative relationship. A marketing maven, two-time GQ Most Stylish Man, and the purveyor of the billion-dollar Yeezy apparel and footwear collection brand with Addidas, even Kanye found it a bit of a challenge trying to solve the creative mystery behind the Blexit design he wanted to present to the world. But it was a worthy challenge for one of the fashion industry’s most prolific influencers; one that took he and Owens halfway across the globe to conquer. 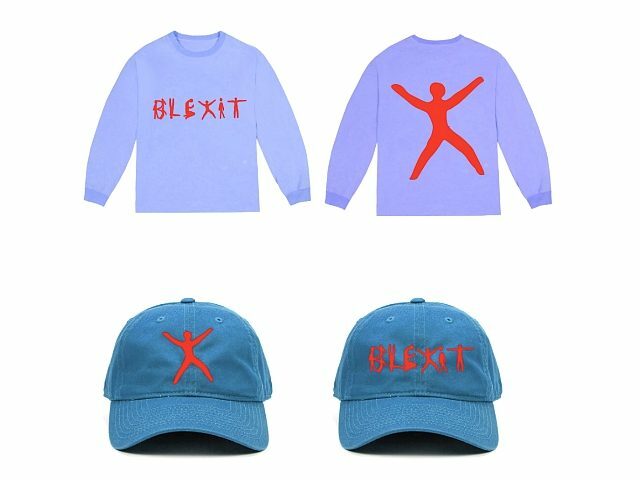 Kanye denies he designed the shirts and wants nothing to do with Blexit. I see kanye and Candace on rallies all the time. Candace is going places and if she ever wants to run for office she will be a top choice. This was encouraging to see. My initial thoughts were, that Kanye was pretty much committing career suicide. Annony's link makes total sense, in regard to his backtracking. "#BLEXIT was always about teaching those people to fly. I am a leader, and I would like to lead in this moment by stating that any and all confusion relating to this topic is therefore my fault, entirely. I would also like to publicly apologize to President Trump, as I know that Kanye’s tweets were rapidly misinterpreted as a shot to this administration. His tweets were aimed at me and me only, rightfully, for my personal failings. I bare full responsibility". Candace Owens is a class act and strong voice for conservative politics in the African American community. Kanye West is a nut case. Owens will do great things for our country.